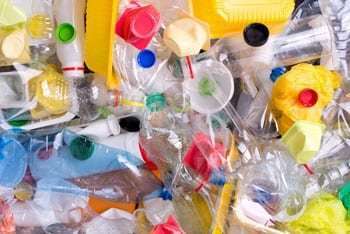 Governments, businesses and people around the world must play major roles in managing the rapidly growing plastics economy and the waste it produces, according to an expert in the Center for Energy Studies at Rice University's Baker Institute for Public Policy. Rachel Meidl, fellow in energy and environment at the Baker Institute, outlined her insights in a new issue brief, "Plastic Waste Management: Are We on the Right Path to Sustainability?" Her brief discusses the key elements and causes of the plastics problem and explores policy actions for reducing reliance on single-use plastics. Plastic production has surged over the past 50 years, from 15 million metric tons in 1964 to 335 million metric tons in 2016, according to Meidl's brief. Since 1950, nearly 8.3 billion metric tons of virgin plastic have been produced and 6.3 billion tons of plastic waste have been generated, of which 9 percent has been recycled, 12 percent incinerated and 79 percent accumulated in landfills or abandoned in the environment. The largest industrial sector contributing to the waste problem is the packaging industry, which produces single-use plastic designed for disposal, and Meidl said this is where the majority of policy reform is concentrated. "There has been an enormous rise in global policy actions directed toward dealing with plastic waste from 2014 onwards," Meidl wrote. "Governments have been increasingly implementing policies and taking action to curb the consumption of single-use plastics in recent years." "There is an undeniable, complex relationship in the plastics economy," Meidl wrote. "Plastics ubiquitously deliver many societal benefits and offer technological, safety and medical advances. Yet, the findings of the UN report and the global reactions that followed, some immediate and precipitous, reveal a growing global momentum to address plastics management. Ten of the 13 selected case studies in the UN report focus on banning single-use plastics. However, the outright ban of plastics with no other available or affordable alternatives, or focusing exclusively on the promotion of understudied plastic alternatives as a singular solution, are simply not practical or global strategies given the world's entangled relationship with this commodity." "If the objective is to divert plastic waste from the environment, a mechanism must be created to support technological innovation and an operational framework that would sustain it," she wrote. "This is especially relevant since China's filing with the World Trade Organization last year, which ceased imports of 24 types of waste beginning January 2018, with 16 more items that will be banned by the end of 2019." China imports two-thirds of the world's plastic waste, of which 89 percent is polymer groups often used in single-use plastic food packaging (polyethylene terephthalate, polyethylene, and polypropylene), Meidl said. "This import ban, projected to displace up to 111 million metric tons of plastic waste by 2030, will upend recycling economics, disrupt the global supply chain and further exacerbate the need to globally manage plastics," Meidl wrote. "China, as well as countries exporting to China, will be forced to establish and improve domestic waste management strategies to account for the prohibition." Meidl concluded, "Ultimately, there is no single, one-size-fits-all solution to the plastics issue. Governments, businesses and individuals all play major roles in exploring data-driven pathways for improving how we manage the plastics economy. Rethinking, recalibrating and refining the functioning of such a complex value chain requires greater effort and cooperation by all key players, from plastics producers to recyclers, retailers and consumers. Any model should move beyond incremental, singular one-off solutions and have a shared vision to drive investment and innovation in the right direction. Regardless of our cultural values and belief system about plastics, they are significant components in the global economy. Increasing their sustainability can bring new opportunities for modernization, competitiveness and job creation, consistent with global economic, energy and environmental objectives." Meidl, who joined the Baker Institute in July, is a former deputy associate administrator at the U.S. Department of Transportation's Pipeline and Hazardous Materials Safety Administration. Prior to her role in federal government, Meidl was the director of regulatory and technical affairs at the American Chemistry Council in Washington, D.C., where she advanced a broad range of regulatory and policy issues that involved enforcement, compliance, investigations and litigation.